Please complete the following fields to receive bids for Chrysler parts! Originally established in 1925, Chrysler has long been one of the country’s “Big Three” automakers, ranking alongside Ford Motor Company and General Motors. With a long history of innovation and a track record of manufacturing high-quality and reliable engines, it’s no wonder that Chrysler remains one of the biggest car manufacturers in the U.S.
Find Used Chrysler engines for sale today with our free parts locator at ASAP Motors. Shop used engines for the Chrysler 300M, Chrysler PT Cruiser and Chrysler Sebring models & more with just a few clicks. Simply take 1 minute to fill out our short form & auto parts vendors nationwide offering used Chrysler engines will submit bids to you via email, telephone or even text. Shoppers of used Chrysler engines can compare warranties, price and location in the privacy of their home. If this information is not included in the bid, the buyer can contact the bidder for that information. A number of ASAP Motors vendors offer extended warranties for an additional fee. ASAP Motors contacts used parts suppliers across the nation, so the shipping cost of a replacement motor or transmission is something a buyer should ask about. The companies test and evaluate the used part. They can provide a report on mileage and condition of the car the motor or transmission was removed from. ASAP Motors works to pair a customer’s request with a database of companies who are offering a used Chrysler engine for sale. By using ASAP Motors, you can save time by not having to visit junkyards, salvage yards or recycling centers. Receive competitive offers on used engines today. To get quotes for used Chrysler engines, simply fill out the form above. Within just minutes, we will connect you with our network of reputable used auto parts brokers. Or for even faster service, call ASAP Motors toll free at 1-800-669-8287. If you don’t find what you are looking for submit a request and we will find a used Chrysler engine for sale that fits your needs. Whether you’re looking for a powerful V8 or a turbocharged inline-four (I4), ASAP Motors can help you find a used Chrysler engine that’s perfect for both your needs and your wallet. Chrysler’s current lineup of cars is small but mighty: Between the stylish Chrysler 300 and the practical Chrysler Pacifica minivan, drivers have both sleek and family-friendly options. Previous popular Chrysler models include the Pacifica crossover SUV and the mid-size luxury Sebring. Most Chryslers have been and are currently offered with V6 and V8 engines, although the Sebring was available with either an I4 or V6 engine. Q: How much do used Chrysler engines cost? A: Depending on the year and model of the engine you’re after, Chrysler used engines typically cost between $300 and $2,000. Q: Who makes Chrysler engines? A: All of Chrysler’s engines are made by Chrysler itself, which after merging with Fiat is now officially named Fiat Chrysler Automobiles. In fact, Chrysler now makes engine parts for the prestigious Italian brand Maserati as well as its own line of cars. Q: How long do Chrysler engines last? A: As with most engines, Chrysler engines can last for 200,000 miles or more with proper care and maintenance. However, it’s not unheard of for Chrysler engines to last for 300,000 miles or more in ideal conditions. Below are three of the best selling used Chrysler engine models at ASAP Motors. 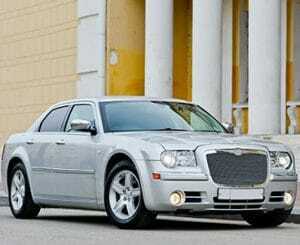 The Chrysler 300 is a full-size luxury car that first went into production in 2004. It features a sleek exterior, large grille and elegant interior elements that combine to create a high-end vehicle that makes a statement. All Chrysler 300 models are available with either a V6 or V8 engine. The Chrysler 300M full-size luxury sedan was produced from 1998 to 2004. Unlike the Chrysler 300, which uses either rear-wheel or all-wheel drive, the 300M uses front-wheel drive. It was offered exclusively with a V6 engine. The PT Cruiser first went into production in 2000, and was discontinued a decade later in 2010. This compact car featured a distinct body design and was available as either a five-door hatchback or two-door convertible, and was offered exclusively with an I4 engine.